This collection is truly taking form, and I am over the moon for it! I believe this is going to be quite a big shop update. If you have been with me for a little while, you likely know how I can become lost in a collection. 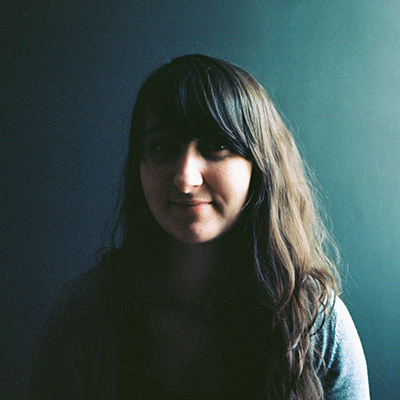 When I first began metalsmithing, I tried to hold myself to very strict deadlines and approach new pieces with conservatism towards design and materials. I wouldn’t make too many pieces, in case the collection was not well received. I would keep the designs simple so they were universally appealing. But the restriction stifled creativity, and my passion quickly diminished with that approach. But these days I give my process room to breathe. 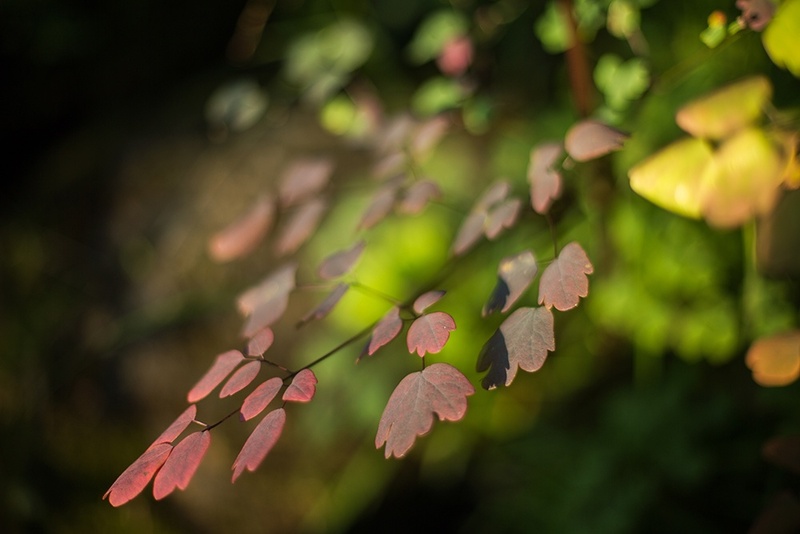 I wait for a collection to find me, sometimes through a season, book, color, wild creature, or place; other times it is through a feeling or abstract idea. The idea usually likes to sit in the shadows for a while, gaining confidence. Like an iridescent fog slowly solidifying, recognizable colors and forms gradually appearing. It waits in the corner watching me curiously as it takes shape, likely deciding whether I am the right maker to sing it into physicality. And when the idea has determined me to be its rightful partner, it saunters up and all at once whisks me into a flurry of sawing, brazing, hammering, folding, and sanding. I have found over the past year, that these strange creatures (ideas) do not like certain restrictions. They wince at the mention of deadlines, materials budgets, and design caps. These bridles and girdles wither ideas until they are no more than wisps of what they might have been. And so, I let loose the reigns and allow idea sweep me off, showing them stones and design elements for approval along the way. I continue to work, pushing the idea into physicality, until it looks up from my bench and nods in contentedness at its fulfillment. Perhaps this seems an odd way to work, and at times it is maddening and nerve-wracking. Maddening to not have definitive answers for the questions you lovely people bring; you dear souls who come to cheer me on, watch collections unfold, and share the stories of your lives through the way this work relates to you. 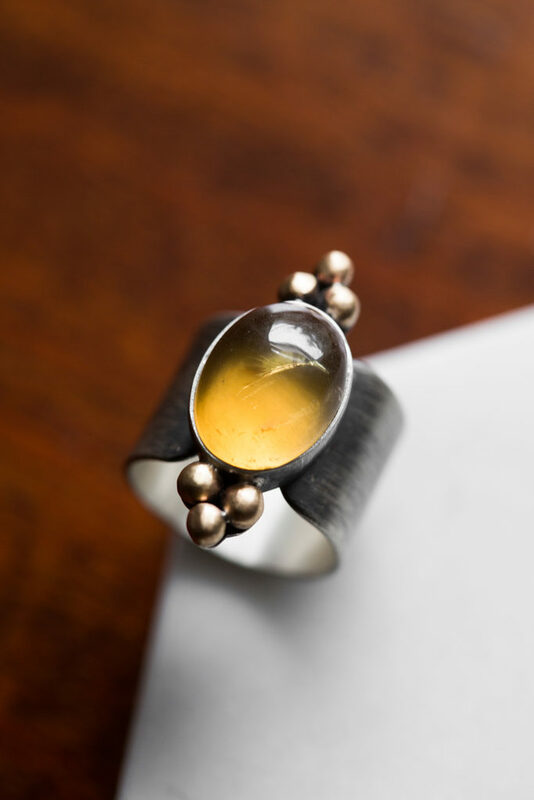 And nerve-wracking to put such a tremendous amount of time, silver, and stone into one collection with no guarantee that any of the pieces will be claimed in the shop update, nor that they will be adored as much by others as by me. Each piece a loving act of faith. And here we are at the beginning of another tremendous collection, brimming with warm honey and the hum of bees. Shall I tell you a little about each design? This was the first design I felt called to make, a piece which includes most of the elements that will be sprinkled throughout the rest of the collection. It features a bee silhouette resting above a lovely smooth gob of honey-colored citrine, nestled like a flower between two curved leaves. 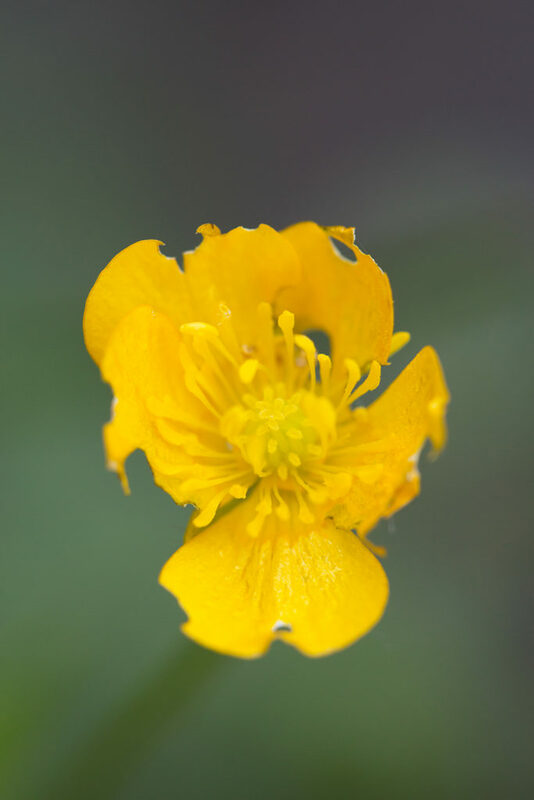 And below the citrine and leaves are a few granules of “pollen” made of brass. 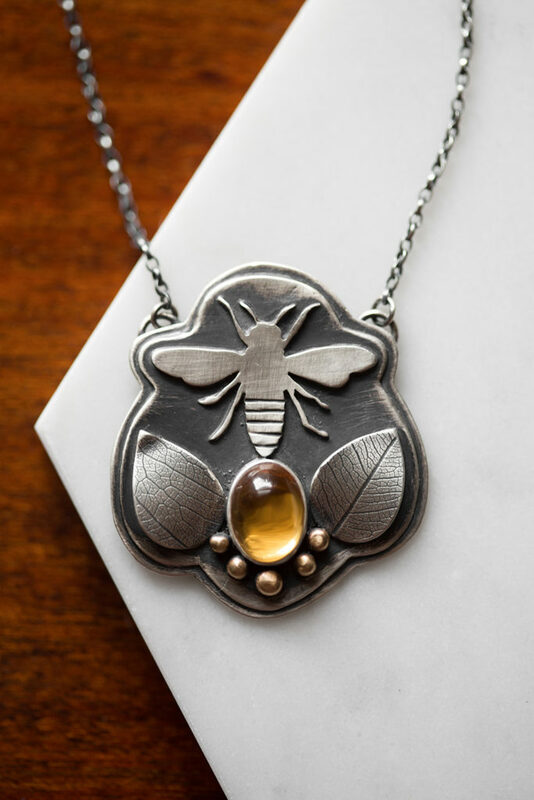 The piece is double-layered for substance, and the back features the looping, twirling flight path the bee took before alighting on the front of the pendant. The next design I created was this asymmetrical honeycomb piece. 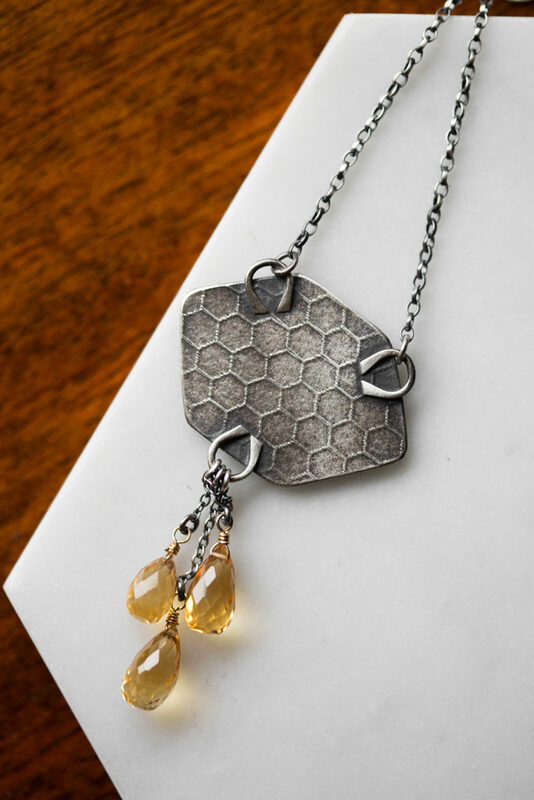 A swath of comb to wear about the neck, with one cell full of a shimmering faceted citrine. And across the top of the comb is a single bee, tending her honey stores with tireless devotion. 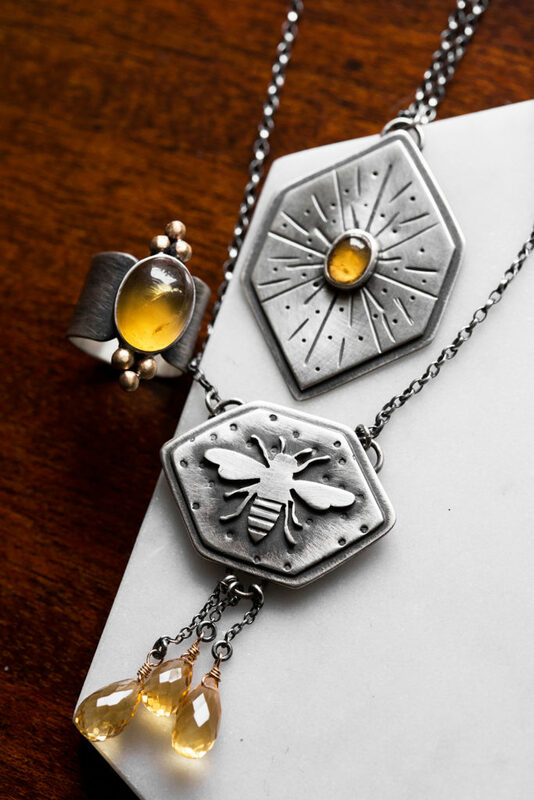 The back of this piece also features a bee’s flight-path. 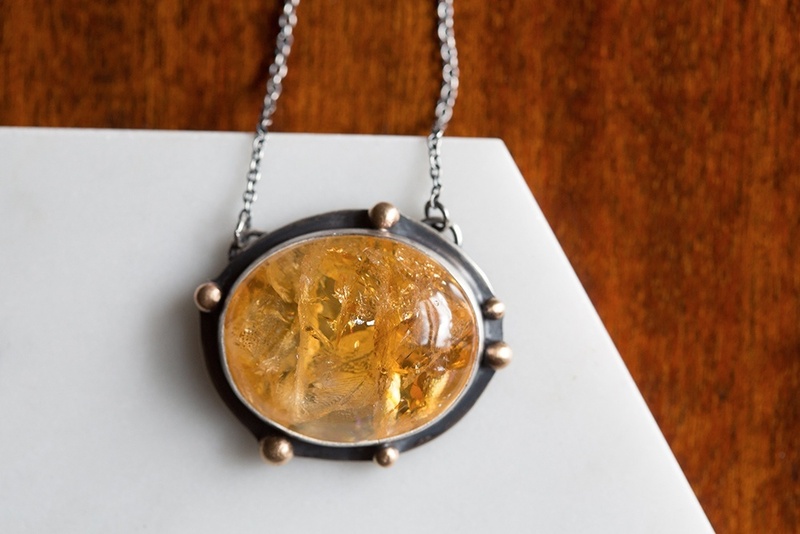 For the fourth design, this gorgeous gooey citrine asked very kindly to be adorned simply for emphasis. And I was happy to oblige. To me, this piece looks like a cup that has been filled to nearly spilling with honey! Placed sporadically around the stone are a few brass pollen granules. 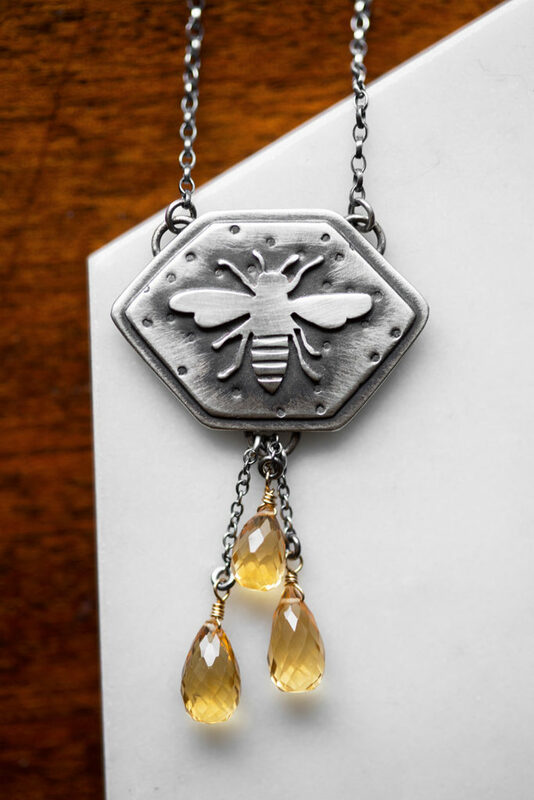 When designing this piece, I thought often of this quote by Henry David Thoreau: “The keeping of bees is like the direction of sunbeams.” This thought I translated into metal by sawing out a window in the shape of a bee on the back; a sticky, sweet thing made entirely of honey! 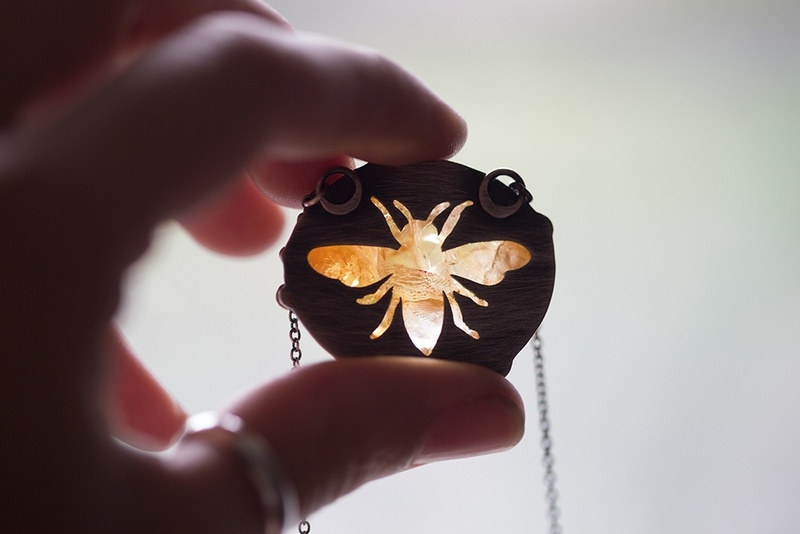 And when you hold the pendant up to the light, the bee glows warmly. 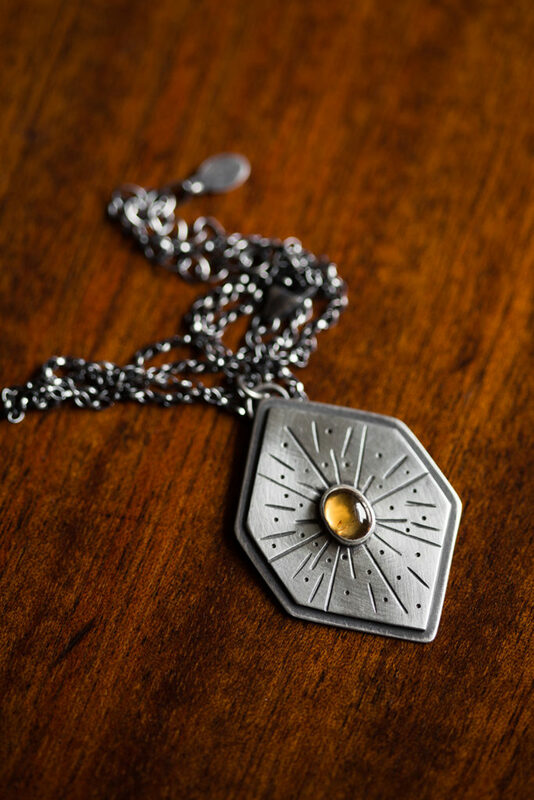 The direction of sunbeams, summer preserved in a pendant. The fourth design is a ring, because of course, there must be rings! 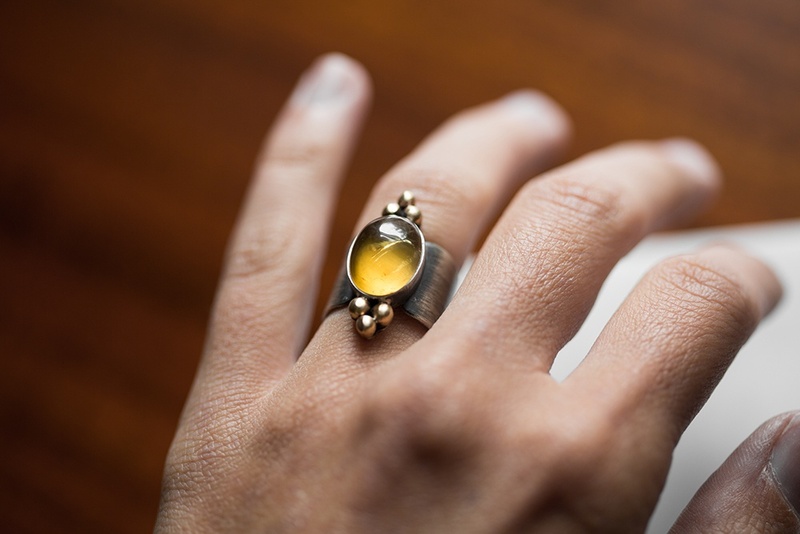 The ring features a single smooth oval citrine with three brass pollen granules above and below the stone. 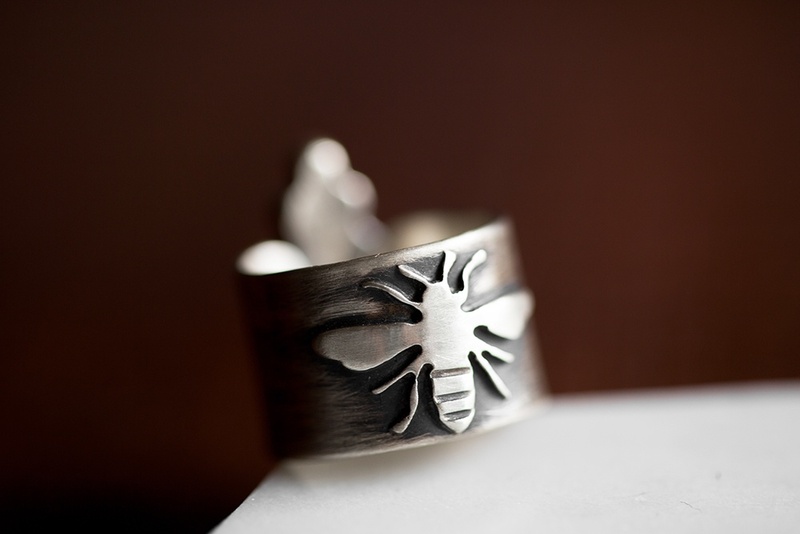 It is set atop a wide band, and on the underneath of the ring is a tiny bee silhouette. A hidden honeybee to hold in the hand. 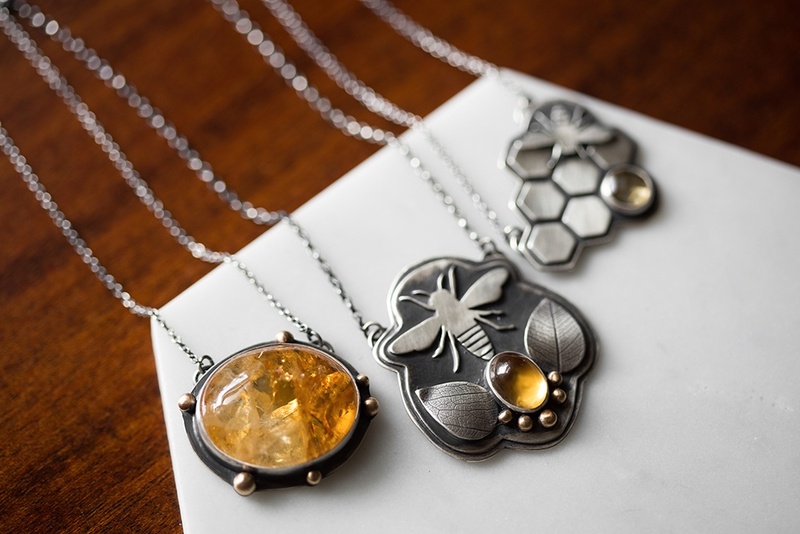 The fifth design features a large bee silhouette focal against a dotted hexagonal base. 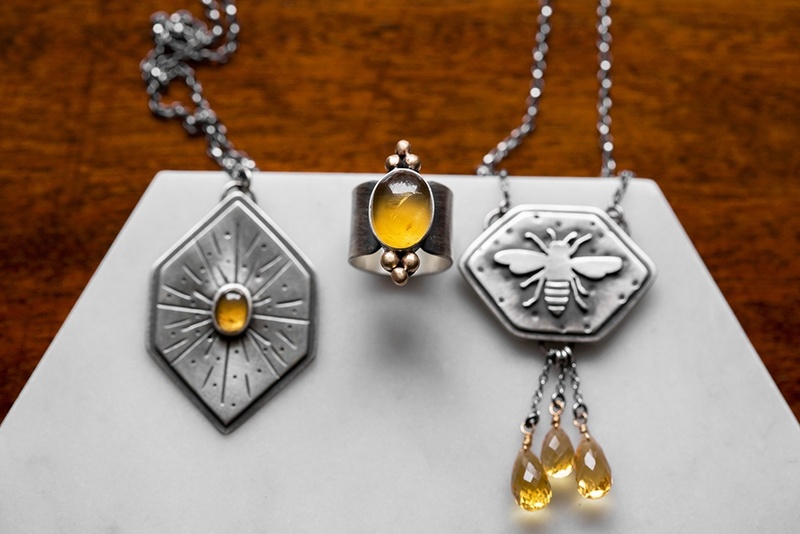 Suspended beneath the bee are teardrop citrine briolettes, like drops of honey spilling from honeycomb. 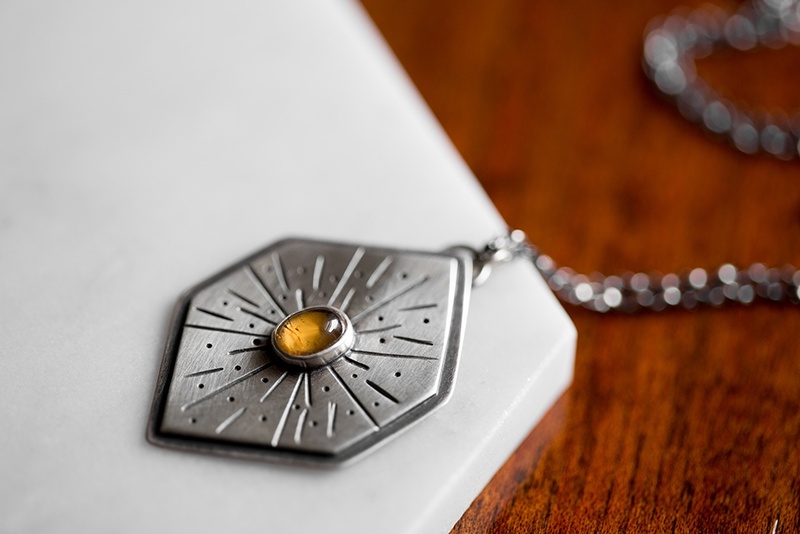 And on the back of the pendant is a raised honeycomb pattern. Like the honeycomb hidden inside the bee hive, here is a soothing pattern to rest against the chest for the wearer alone. And finally, my honeybee compass. This piece I have long had plans for, ever since I learned about the way in which bees navigate to and from the hive. Truly creatures of summertime, bees use the sun as a fixed reference point. As such, the sun anchors their internal compasses, even on cloudy days. 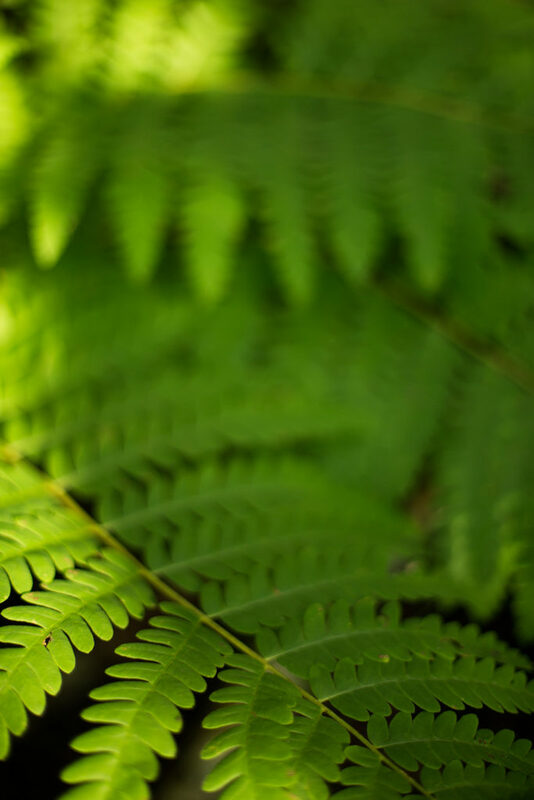 When a bee finds a lovely patch of pollen and nectar-rich flowers, it maps the location by remembering the angle between the hive, the flowers, and the sun. 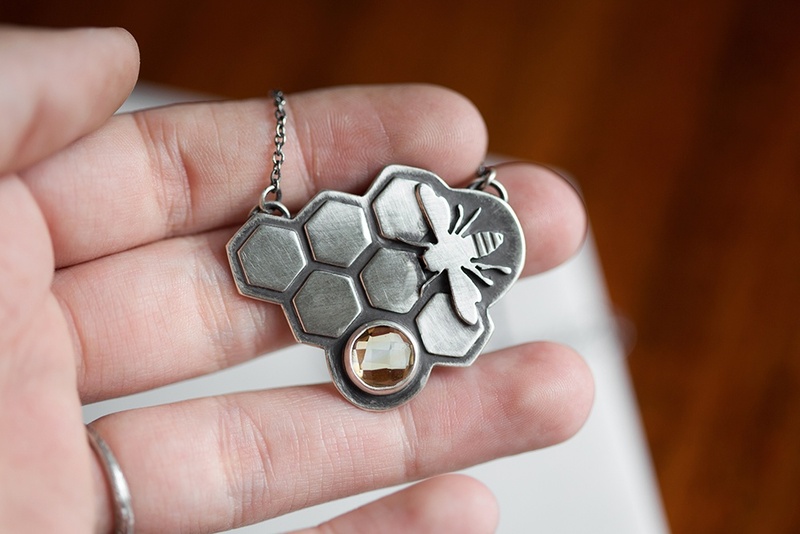 And so, I have created this piece for that glorious aspect of bee behavior: a honeybee compass. 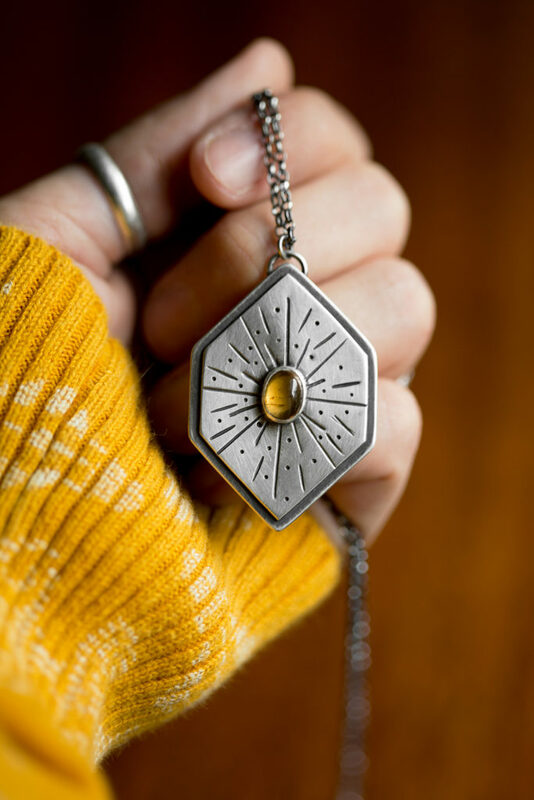 This large hexagon pendant features dots and lines radiating from the sunny citrine gemstone at the center. I wanted the inscribed dot/line pattern to resemble a compass, though still feel a bit unruly and natural. 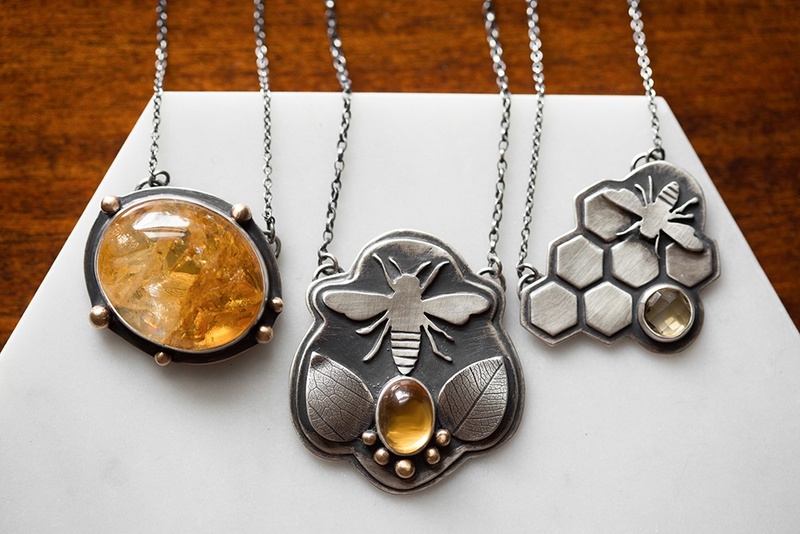 For the honeybee compass necklaces, I will finish the chains upon purchase. Usually I finish necklaces with an adjustable chain before setting stones and oxidizing. But for these, I can see them being worn at almost any length! 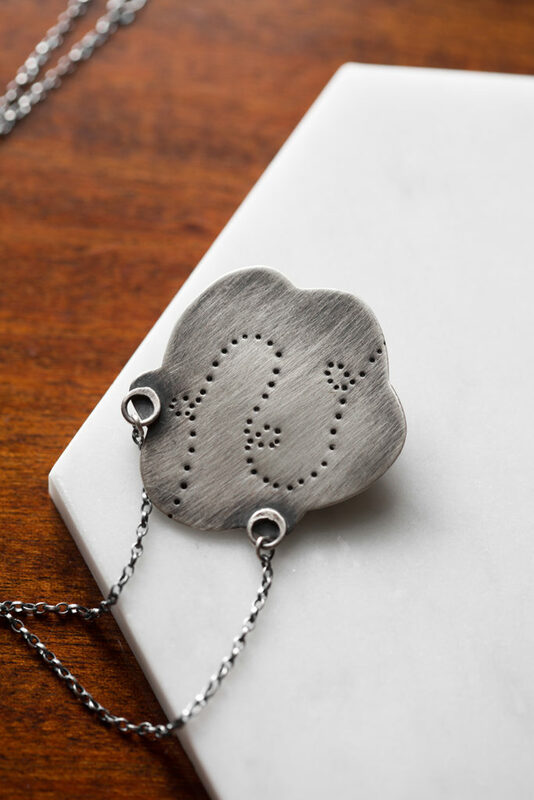 I could see wearing it on a shorter chain, secure and close to the heart. And I could also see wearing these quite long, to sway below the bust, handy for picking up and navigating to a patch of lavender. So, I will leave the chain length up to you (the buyer)! And so there you have it! The first full preview of my upcoming Honeybee Collection. I still haven’t chosen a date for the shop update, as the bees are still sweeping me along with them. Goodness knows where they will drop me! It will likely be early October, but I will announce the shop update date and time here and on my Instagram when I know. Check back soon for the next preview! Next up, cuffs and more necklaces! Which design is your favorite? I would love to know!